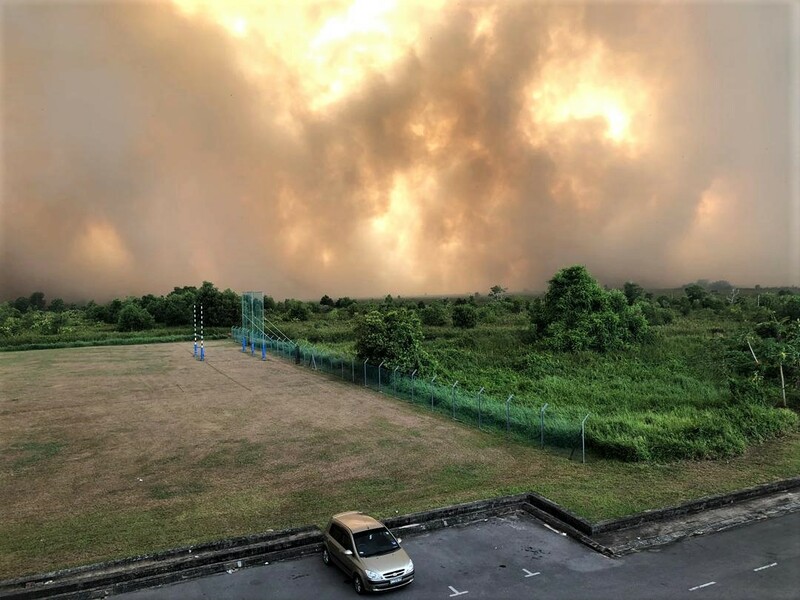 MIRI: The blaze that is currently affecting over 100 hectares of peat soil forested areas as well as farmlands in Kuala Baram here is still going strong, causing the air quality in and around the area to deteriorate rapidly. Despite the rain this morning, the fire is still very difficult to control because of the dry peat soil and the strong winds causing it to spread very easily and it is now nearing Curtin University Malaysia campus at Senadin. “Our helicopter has just arrived from Sabah and we are going to carry out ‘water bombing’ to help control the fire, he said when contacted by The Borneo Post. We have not issued any permits since March to any plantation in Miri to conduct open burning. So such open burning is conducted illegally and we are investigating and will not hesitate to take legal action, he said. Open burning without a permit from the NREB is an offence pursuant to the Natural Resources and Environment Ordinance (NREO), 1993: Section 30(1)(a) Any person who carries out or causes or permits to be carried out open burning of refuse or other combustible materials on any land without written permission of the Controller can be liable to a fine of RM20,000 and imprisonment for three years. Peat soil, farmland fire still raging, approaching Curtin University – Bomba Borneo Post Online.